" ... Schellenberg cautions against arguing this point too strongly. Music should be recognized as an end in itself, not a means to some other end. 'Studies show slight gains in IQ,' he observes, 'so there is mounting evidence that music training has some kind of cognitive benefit. But nobody tries to justify math lessons because they make your poetry skills better.' "
Music, when talking in terms of education, should be recognized as the enriching and noble pursuit that it is, as opposed to being a supplemental activity for keeping an idle brain active. So when we say that music helps build better student brains, we are in effect diminishing its importance, making it subordinate to other skills simply because it supports those skills. When we say better brains, do we mean better than the average student’s brain, or better than the brain was since we first started playing an instrument? 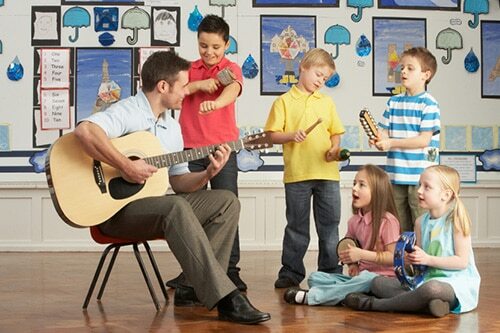 Do we have to play a musical instrument to be smarter, or will singing do it? Can we merely enjoy listening to music and become smarter by that? Is it “music” as opposed to other disciplines, like art or dance or theatre, that builds better brains? Does playing a musical instrument as opposed to other disciplines enhance your own brain faster or better than other subjects would? Or is it more that smart people tend to take up playing musical instruments anyway? I used this argument every year when recruiting band students. I’d say to parents, “Music makes you smarter.” Then I’d list all the ways that music makes people smarter, from math to science to test taking, and the list would go on. I’m in a different place right now. Now I have a vested interest in the truth of this question, because my child is mildly autistic, and his fine motor skills are lagging. If I truly believe that music makes one smarter, why don’t I have him playing a musical instrument? What instrument would he play to make him smarter? You can look up various studies to “prove” that music makes you smarter. I’m not going to do that. I’ll merely list observations in my own life, then you can decide. I play a musical instrument (saxophone). What did it do for me? I became obsessed with perfection, to the point of practicing passages ad nauseum to the annoyance of my roommates, family, wife, and children. The horn had to be just right—the adjustment, the spring tensions perfect, and how the keys felt in my hands. Problem solving was a big thing. Why can’t I get this particular passage to sound right? Breathing? Finger technique? Is it a mechanical flaw in the instrument? I learned to be observant. I ranked myself in comparison with other players. I could gauge how far I’ve come and envision where I wanted to be. I learned how to care for something of value to me. I learned how to fix it, how to to polish it, and how to pack it properly in its case. I learned teamwork through my sax quartet—playing in tune, in time, collaborating and deciding on interpretation. I learned leadership. I was leader of my saxophone section, so I ran rehearsals, took lessons and learned how to problem-solve. I learned humility—not shame, but the ability to take criticism and learn from it. I learned to take unmemorable performances and use them as stepping stones. I learned risk. I volunteered to take the improvisation solo and not be afraid to start at the bottom and work my way to the top. I learned expression at its deepest level, through nonverbal communication. Did I do well in school? Yes. Did I perform well in standardized testing? I did. I gravitated towards thinking laterally about problems and solving mysteries. The skills I learned in music translated very easily toward solving life’s challenges. Would I have learned these skills otherwise? I can’t answer that, except to say that music definitely enhanced my life in a positive way. 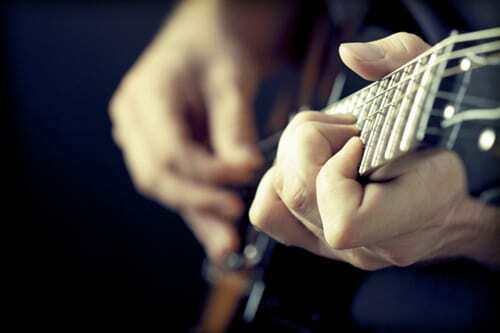 "Life without playing music is inconceivable to me. I live my daydreams in music. I see my life in terms of music ... I get most joy in life out of music." I would posit that it’s not just music that builds better brains—it’s passion. It’s what gets you up everyday out of that bed that you can’t do without that makes people want to learn. If you can tap into your students’ passions and make their learning relevant, then you’ll have smarter kids.